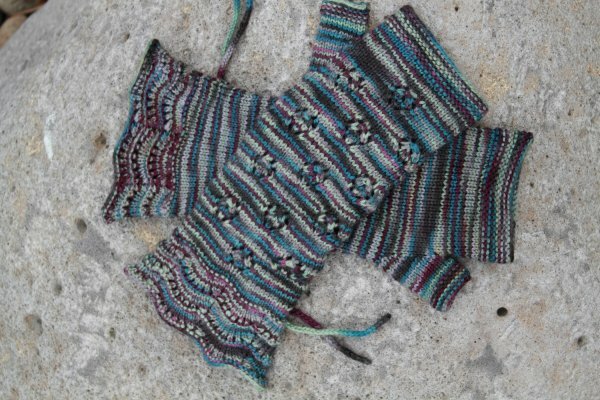 These gauntlets were designed for our Downton Abbey Mystery KAL 2013. The gauntlets are inspired by Dame Maggie Smith's character on Downton, Lady Violet Crowley, who is the matriarch of the family and incredibly feisty and hilarious. 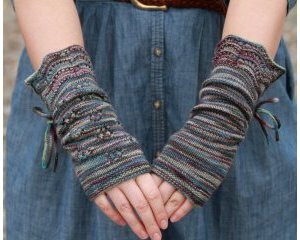 These fingerless mitts feature side ruching for a custom fit and feminine detail, an optional Rosebud Lace panel on top, and a lace border along the top edge to complete the Edwardian feel of these mitts. 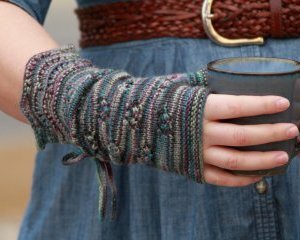 Don't be fooled by the extra frills on the mitts, the hand portion is no-nonsense stockinette and garter stitch making them perfect for everyday wear! You can purchase the items to make your own Lady Violet's Dinner Gauntlets here! Any episodes of Downton Abbey to watch as you knit! 26 sts and 36 rows to 4" (10cm) in stockinette stitch knit flat. Kristen Ashbaugh-Helmreich lives in Reno, NV and works on the Customer Engagement team at Jimmy Beans Wool; her tasks include social media (Ravelry & Pinterest, yay!) and coordinating the blog, she co-writes the bi-monthly newsletters and designs knitting, sewing and crochet patterns among various other fun tasks. 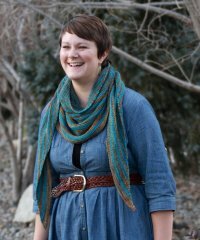 Outside of work, she is the designer behind Marinade Designs (www.marinade.wordpress.com), her own line of knitting patterns that she is hoping to expand in the coming year. When she's not knitting or sewing her own clothes, she is working in her garden, tending to her chickens, cooking up delicious food, doing yoga, or hiking and backpacking with her husband and their feisty little mutt Wallace. 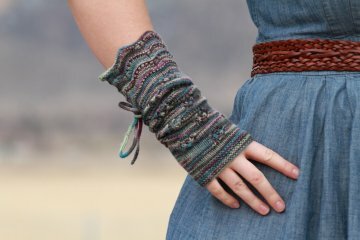 Feel free to check out all of Kristen's designs on Ravelry: http://www.ravelry.com/designers/kristen-ashbaugh-helmreich. For help with any of Kristen's patterns on the JBW Free Patterns Page, feel free to e-mail her directly at: kristen@jimmybeanswool.com.